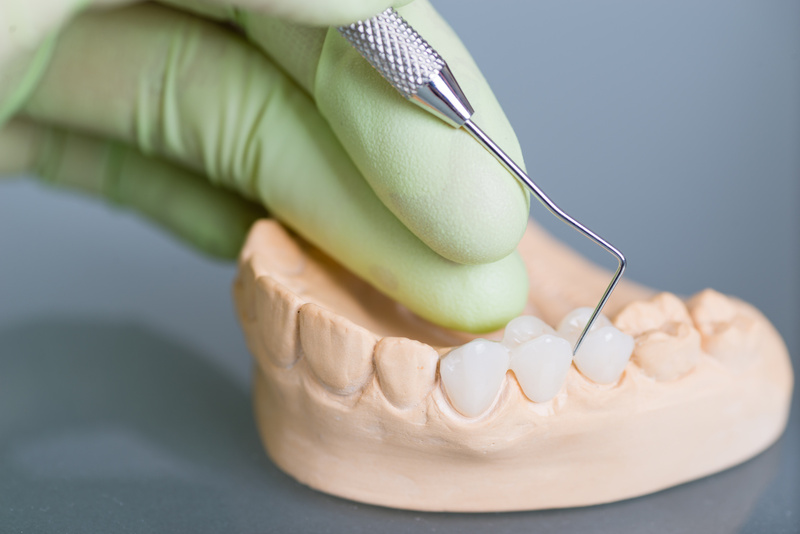 Dentists use the term “restorative dentistry” when replacing damaged or missing teeth. This includes dental implants, crowns and bridges; all of which aim to restore your natural smile and prevent dental health issues in the future. Like dentures, crowns and bridges are prosthetic devices. The difference is that they are bonded onto the remaining teeth or implants. You can remove and brush dentures while crowns and bridges are permanent and can only be removed by a dentist. A crowns is used to cover a damaged tooth completely. It can also be placed over an implant so it will have a tooth-like structure and shape. Crowns can either be made of porcelain, ceramic, metal and gold alloys, or acrylic. Those made of alloys are more durable than porcelain and are usually used for back teeth. Porcelain crowns are attached to a metal shell to make it durable and aesthetically appealing. Dentists recommend a bridge if one or more teeth are missing. The remaining teeth shift or rotate into the empty spaces left by missing teeth, which results in having a bad bite. The asymmetry caused by lost teeth can lead to periodontal disease and temporomandibular joint disorders (TMJ/TMD). Bridges cover the space vacated by the missing teeth and are attached to your natural teeth or dental implants encircling the vacant space. Known as abutments, these teeth serve as pillars for the bridge. Bridges are made of the same materials that crowns are. Consult your dentist to help you choose which type of bridge is needed; based on the location of the lost tooth/teeth, task, aesthetics and cost. Bridges made of ceramic or porcelain can be made to match the color of your natural teeth.